For those who weren't aware of this, Zaid(Datti) recently resigned from community managing 3DSPlaza. Zaid is a well-respected member on 3DSPlaza from the days he joined up and beyond. Zaid's decision to step down from community managing was to set his focus more on his daily living. This doesn't mean Zaid won't visit Plaza, but he'll come online from time-to-time to check on Plaza, those who're concern for his absences. From this, Zaid and Andre(NodePoint) has made a decision to be promote me as Plaza's new Community manager. I'll try my best to manage such a "populated" media and stay as active as I can. That being said, my contacts will always be open. If you have any questions or if you're having problems with a moderator, please be sure to contact me or Andre(NodePoint). We'll try our best to resolve issues. Anyway, thanks for reading. As most of you know, one of our beloved users, mega, also more known as Spencer, has passed away. Spencer passed away due to the horrible demon named suicide. This thread is meant to pay our respects and remember a fellow Plaza user, but please, keep it respectful while expressing your thoughts and respects to him. As of March 5th, Datti, or Zaid has become our newest Community Manager. Also, as of February 25th, users with a certain post count or higher are able to use BBCode in the chatrooms. As of October 4th, 2017 Plaza has got itself a brand new admin! NodePoint is our new admin and he's already been quite busy in the short time he's been admin. - Updated chat rules, MOTD and changelog. - Replaced smile system for chat for better accuracy. - Emoticon reference page has list of usable emoticons in PC version of the chat. - Added new and old emoticons. - In-chat BBCode support added for chat moderators. - Custom in-chat icons for certain users. - Added auto-hyperlinking support to chat. - Restored PM delete utility and added it to pm page. - Added more domains to blacklist for account approval tool. - Corrected spacing in profiles. - Profiles now have '.subusrinfocon' ( Information before 'About me.' ) -- can be styled. - Fixed blacklash issue, typos, toggle in profile editor. And I'm sure there's much more to come. In my personal opinion, NodePoint as admin is the start of a new beginning for Plaza that will bring some life back to it and I'm not alone, so far, quite a few users have agreed that Node's promotion is the best bet for Plaza and are looking forward to seeing what else he has in store for the site. Good day to you all. Today, January 31st, exactly six years ago, 3DSPlaza.com was founded. Throughout six years many users have joined and left, and I know some of you have been here for years now. I would like to thank you all for being a part of 3DSPlaza. You are the reason that 3DSPlaza is still online. Although the Nintendo 3DS system itself has decreased in popularity, and many 3DS related websites have died down completely, 3DSPlaza has to this day remained to be an active community. I have a small gift for you, that is a throwback to the old "nostalgia" 3DSPlaza times. 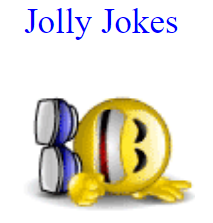 I'm doing a throwback to the very beginnings of 3DSPlaza, by bringing back an old 3DSPlaza app, namely Jolly Jokes! This was one of the very first 3DSPlaza apps, but it broke at some point way back in time and has not worked since. Maybe some of the very old users will recognize the app when they open it. I have left the app exactly the way it was before it crashed. Even the original jokes from before it crashed are still there. Now, for the plans of the future: there is probably no denying that 3DSPlaza will continue to slowly keep declining in usage. I'm not sure how much longer the site will still be actively used, but I at least plan to keep 3DSPlaza the way it is as long as that's the case. The Nintendo Switch is the next upcoming Nintendo thing of course, although I do not think that I'll be developing a website for the Nintendo Switch. I do have plans for another community website like 3DSPlaza, but it would not be Nintendo-related. For now, let's celebrate the fact that 3DSPlaza already exists for six years and counting! [Hypothetically] Repeated offenses within a week's time from your ban may result in a longer ban time than before. Moderators are not strictly obligated to withhold warnings for these offenses--they may warn if they feel compelled to, however I wouldn't count on it. I think it doesn't need to be said, that deliberately bypassing the swearing censor is against the rules (as are any of the other offenses that are listed above). Warnings should be a notice to let users know when they've crossed a line that they might not be aware of...such as getting too rude during a disagreement, or bringing up an inappropriate topic, or violating other subjective rules. It's to let the user know what the moderator on duty considers to be a violation of those rules...unlike a violation like bypassing, which isn't in any way subjective. "But what if I accidentally bypass?" You shouldn't be swearing to begin with (note the rules). Accidentally hitting a double letter in a swear word that would result in bypassing the censor doesn't mean you're inherently innocent...Mods still have grounds to ban you for "accidental bypasses" since you shouldn't be swearing. The only reason mods don't warn when we see a misplaced smiley face, is because the smiley is also a harmless emoji that can be placed without swearing...so we can't know what the original context was. If you somehow manage a freak accidental bypass that wasn't intended to be a swear at all, I'm sure the moderators will be competent enough to recognize that it was an honest accident and leave you alone. It's hardly much of a change that will affect the most of you at all, unless you're an avid deliberate rule-breaker. Theguyryanb977 has provided us with Plaza Account Switch Request (PASR) forms...a convenient tool to use to register for an account switch. Simply enter your username into the form, then enter the new username that you registered to be accepted. Moderators can review the requests and will check your IP and/or email to be sure the request is legitimate, if all checks out, they can then accept your new account on Plaza! There's no more need to try to catch a mod at the "right time" or go through the hassle of explaining everything...just submit your request and wait for it to be reviewed. Because mods are wary of unapproved alts or spammers joining Plaza, many suspicious accounts get declined without question. Often enough, some suspicious accounts are actually just users attempting to account switch. This tool should prevent your new account from being suspected as an unapproved alt, plus it's much easier on mods. Check out Ryan's announcement in his thread here. Please note that PASR is not directly affiliated with 3DSPlaza.com and is a separate entity provided for the use of 3DSPlaza users. It's about time. Not only were they spam grounds, if they weren't being spammed, they were completely empty. Hello everyone! Exciting news I bring you. And yes some of you already know. The 3DSPlaza Register Panel has now been re-opened (AGAIN). So. Yeah it's re-opened......again. Thanks Rob/SL. Good day everyone and Good night. Nintendo selling New 3DS cover plates online! Yes. One of the most appealing features of the New Nintendo 3DS cover plates are now being sold on Nintendo's online store. Nintendo of America's online website store are currently selling 10 cover plates. Nintendo of Japan has more than 60 cover plates on their online store. Prices range to $9.99 to $16.99. Minecraft: Story Mode is headed to WiiU! According to The Verge, Minecraft Story Mode will be heading to the WiiU. While it isn't a main core Minecraft game, it will still be the first appearence of the series on a Nintendo console. The game is set to debut later this year. Could this mean a main game is in works for the WiiU? Or to be coming for the NX? Comment your thoughts below! Shovel Knight is in Super Smash Bros!? This week has been a very exciting week for Smash players! Many rumors has been circulating the internet about Shovel Knight being in Super Smash Bros. First off, a Spanish retailer listed a Shovel Knight amiibo ready for pre-order. But later, Yacht Club Games quickly turned down the rumor. Then other retailers around the world followed. Then on their Twitter and official website saying, "This next week is sure to be an exciting one, including the MEGATON reveal we promised…"
So with PAX Prime being this weekend and Smash Bros will be playable there, so... What do you think? Excited? Leave thoughts! This thread will serve as a petition to make MarioErmando an admin here on 3DSPlaza. If you agree, then click the appreciation button (the +) at the top of this thread to sign. I believe MarioErmando would be a great addition to the team. He has developed PlazaTools, a browser extension for 3DSPlaza that adds new features, a cSplit generator that was later integrated into the chat, developed an unofficial chatlog for the chat rooms here, and a long time ago, he created a website similar to 3DSPlaza, 3DSFun. Also, 3DSPlaza hasn't had any major events or updates since the Christmas event of 2013. Rob and SomeLuigi do not do much here anymore, however I'm not saying to get rid of SomeLuigi. Ermando is dedicated to what he does, and does stuff for us all in his free time. 3DSPlaza needs to get regular updates again, like every other website. I hope you guys can keep this thread alive so Rob and SomeLuigi can see it and consider it. Also, if you can, please tell Rob and SL, but don't bug them about it. I also decided to make this because people have always been saying he should become admin, and now would be a good time. The eleventh installment in the Dragon Quest series, Dragon Quest XI, was just officially announced by Square Enix earlier today. The game is planned to release on the 3DS, PS4, and NX. Making it the first Nintendo NX game to be announced. Dragon Quest X, which came out a while ago, was released on the Wii, Wii U, 3DS, and PC, but was never localized and remained a Japan exclusive. The game will most likely not get localized so we'll hope Square Enix hears our pleas with XI. Satoru Iwata, now former president of Nintendo, passed away yesterday. Nintendo claims he died from a 'bile duct growth.' Among other things, he was of course famous for overseeing the Nintendo Direct presentations and would often display hardware and software with Shigeru Miyamoto. Prayers and best wishes to his family and close friends. In an interview with Sakurai, he confirms that Roy, Ryu, and Lucas were not fan demand, in fact, they were all in development before he opened the ballot. So he confirms that the team will now be on fan service! So expect a few more characters! So get out there, and cast your vote! Miiverse Policy Changes: Bans Innocent Users! Today, Nintendo has updated their Miiverse policy, and the change isn't good at all. The only thing they changed is about Nintendo Network IDs sharing the same Wii U. If a Nintendo Network ID has been banned from using Miiverse, all other accounts linked with the same banned ID will also be banned, no matter when and what device you created your ID, if you share a Wii U with a banned ID, you will also be banned. So what do you think? Is it fair? Leave thoughts! Hi.I don't have friends yet.Please pm me.And tell me what console you have. This place will for ever be save in my brower. I love this site. I don’t know who might see this but I hope they feel the same. This site was everything to me years back. It seems many of us have grown up but the memories will last. I miss the golden era. I'm not having a good time with any of the apps on this site. Neither of the spriters I purchased worked, they just 403'd on me. The notepad wouldn't let me save notes, so it really served no purpose. These apps need to be fixed. Pretty sure this place is dead, also the people who keep sending me the same damn message about the same damn person... Please stop. lol they said promoting someone to admin would bring back life to the site... how's that goin' so far?